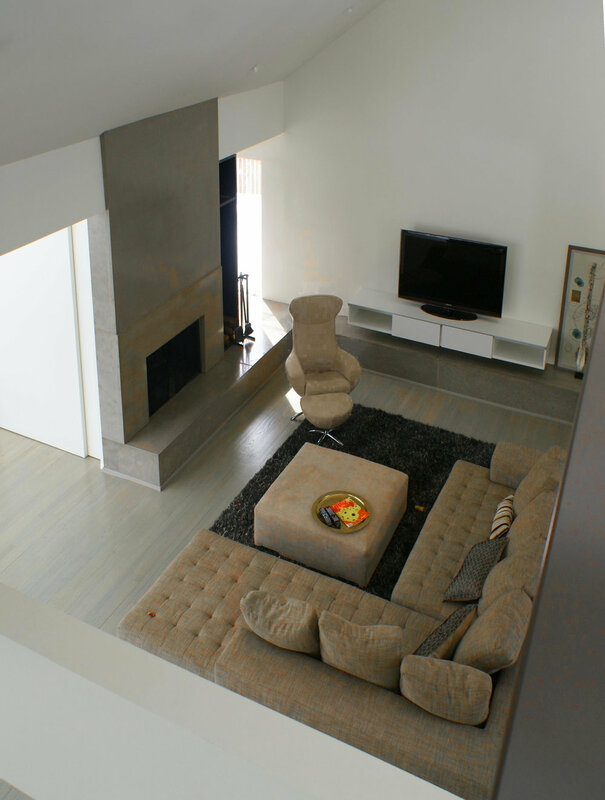 The owners wanted to open up the interior and gain a greater sense of interior space. A small addition for an office was added to the building. Otherwise the exterior of the structure remained intact. 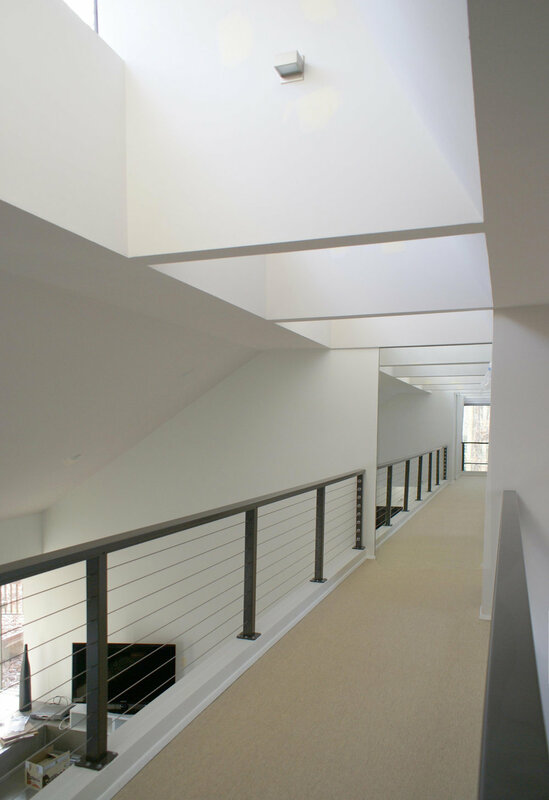 On the inside, solid drywall balcony sidewalls were replaced with transparent wire and aluminum handrails. 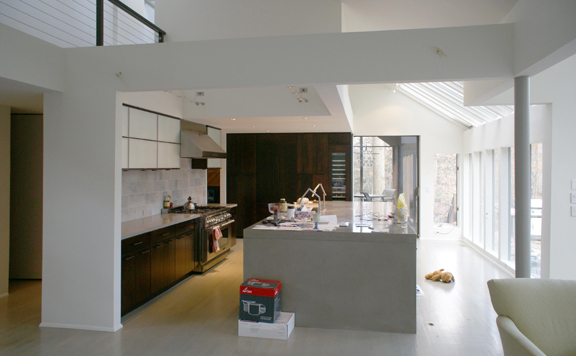 Primary living spaces were opened up by removing walls between the kitchen and adjacent living areas. 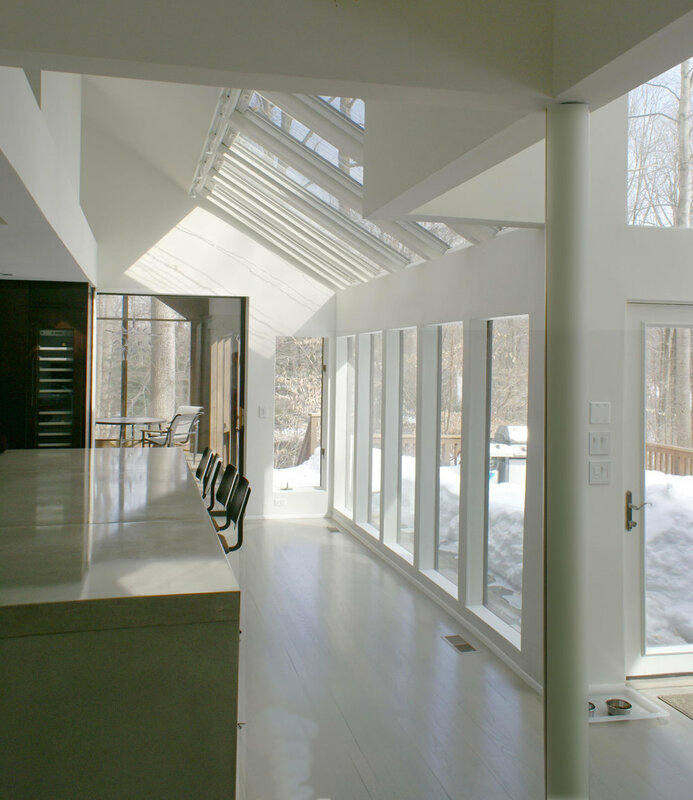 Beams which were required as a result of removing walls add to the overall design and sculptural qualities of the interior spaces.